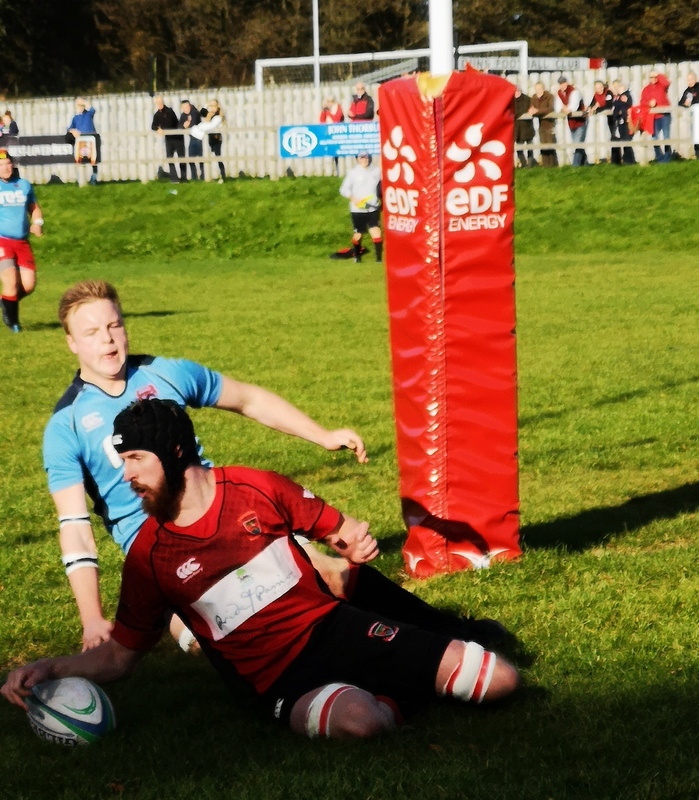 Conditions were great for rugby as the sun shone brightly in Duns. The game started well enough for the visitors as they got stuck in and for the first 10 minutes were perhaps the better side. However as is becoming a regular feature, Linlithgow were on the attack in a promising position, Duns turned it over and ran up the park to score in the corner. The conversion was missed. Soon after Duns scored again. The big number 5 was again causing problems, then in a free flowing backs move, the ball went from one side of the park to another, ending up in the corner, this time converted. It was all Duns for a while with some desperate defending from Linlithgow, but to their credit they came back and could have scored on 3 separate occasions, each time the final pass going astray. Linlithgow pulled 3 points back with a penalty from John Chapman before Duns broke away and scored again in the corner. Just before half time Linlithgow scored a try through Aaron Flucker, converted by John Chapman. Linlithgow had a further chance to add to their points tally in a very kickable position but strangely decided to go for touch and the opportunity was lost. 17-10 to the home side at half time but Linlithgow were unlucky not to be at least level. Whatever the coach said at half time went in one ear and out the other as Duns were immediately on the attack, and more defending was required, Linlithgow fortunate to get a drop out. It was then a comedy of errors as Ross Tulloch attempted a clearance under pressure, only to kick the ball into the welcome arms of the opposition who scored the bonus try, unconverted. Straight from the kick off, the opposition number 7 caught the ball on his own 22 and waltzed unopposed through the whole of the Linlithgow team to score, this time converted. The game was as good as over, and although the visitors had a lot of possession, the killer touch was missing, in fact they didn’t get within 5 metres of the Duns line in the whole of the second half. 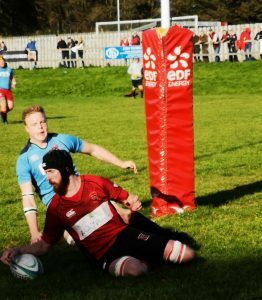 As the game drifted to a close, Duns ran in 3 more converted tries in rapid succession to complete a dismal day for Linlithgow. Rab Cairns (captain); Lewis Herdman, Mark Green, Ross Tulloch, Ross Plenderleith; John Chapman, Peter Miller; Ally Mclean, Colin Devlin, Matthew Sommerville; Steven Grant, Kieran Cochrane; Stuart Cunningham, Aaron Flucker and Mark Caddle. Subs: Chris Ronalson, Dougie Thomson, PJ Singleton, Sam Buckley.